I don't know about you but I have been loving watching all of the Olympic coverage so far and knew I wanted to get in the spirit a bit more! 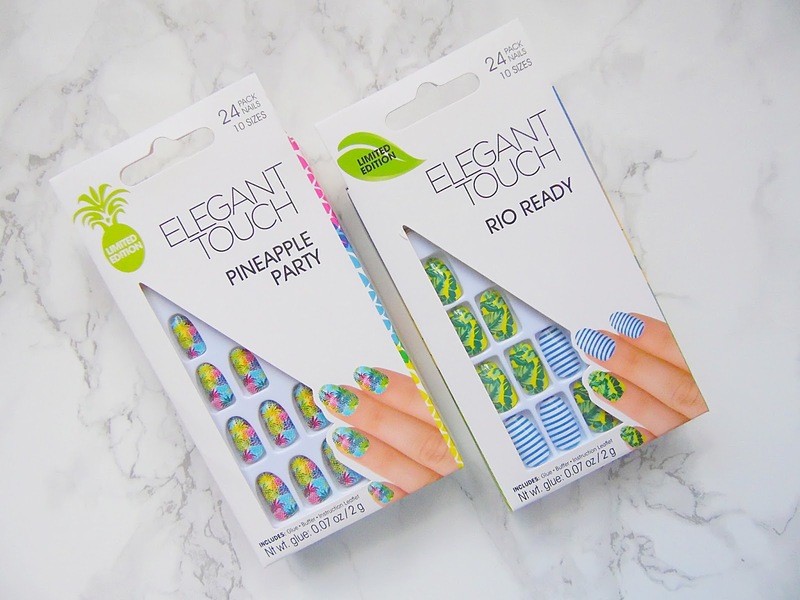 Elegant Touch have released two limited edition sets of nails which are perfect to get in the Rio spirit or even as fun summer nails! 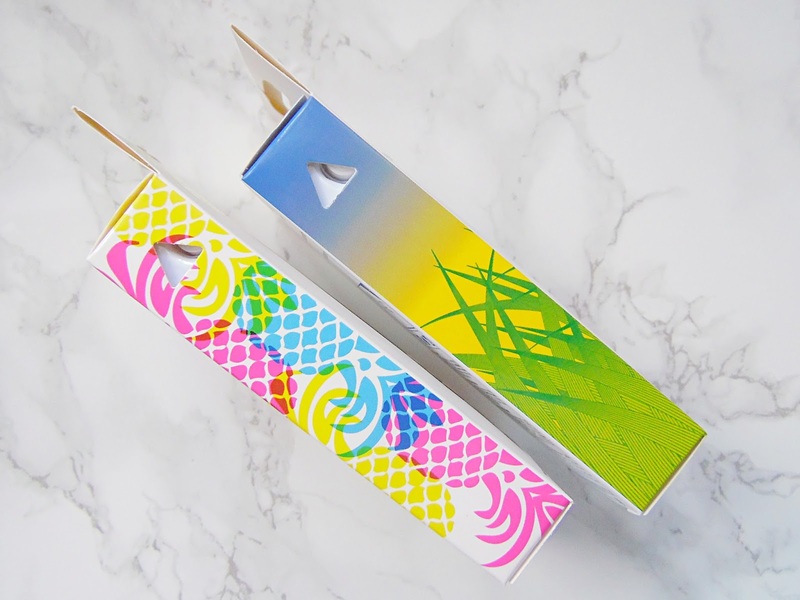 These two designs have been dedicated specifically for this years Olympic Games. I love that Elegant Touch have released these two stunning designs as I love getting involved when I can and what better way than with my nails! I have always been a huge Elegant Touch nail fan and these limited edition styles are so comfortable to wear and when used with the glue included in the box they will last you at least seven days before they start to pop off! Both styles have slightly curved tips which I prefer as I find this style to be much more flattering. The two designs are Pineapple Party and Rio Ready. 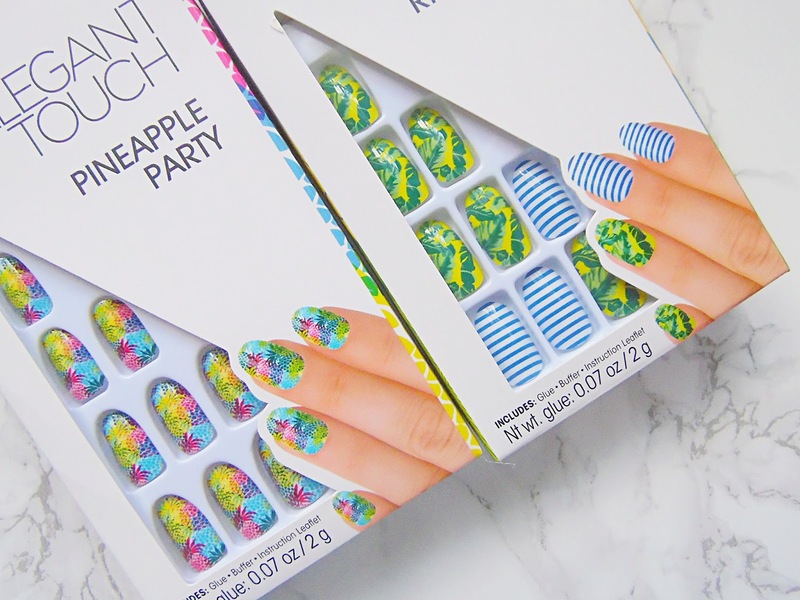 Pineapple Party is the perfect nail design for fun summer days with a colourful pineapple print! It is not until you look up close at these nails that you can see that they are actually multicoloured pineapples, from a far they just look like splats of fun colours. The Rio Ready design has nails of white and blue stripes and a pretty yellow background with palm tree leaves, with this style you could use the more colourful nail as an accent nail! Both designs are bright and colourful and perfect to wear for the rest of the Summer. Inside each box you will get 24 nails in ten different sizes so there are bound to be sizes that fit your nails, I have always found Elegant Touch nails to be a perfect fit for my nail size. If you don't like to use glue on your nails you can always use the Nail Guards from Elegant Touch (I am a huge fan of these) as these are protective nail strips which have been designed to protect against nail damage while prolonging the wear of your nails. The Limited Edition Designs from Elegant Touch are available for £7.95 each - HERE.